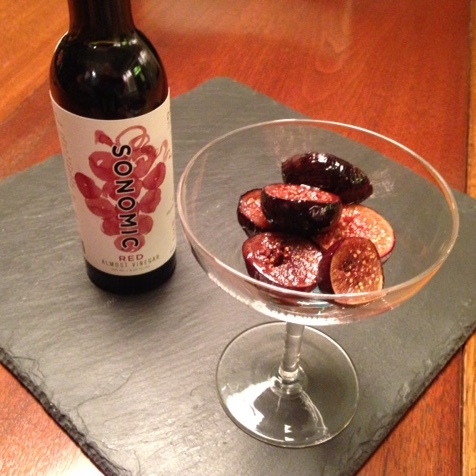 Sonomic Red brings out the sweet earthiness of roasted figs. Rinse and gently dry the figs. Slice off any stem remaining, and then slice each fig in half. Place the butter and the Sonomic Red in a small saucepan over low heat. Stir continuously as the butter melts. Add cinnamon and stir, then remove from heat. Put the figs in a small ceramic baking dish, cut sides up, with sides touching. Drizzle with the Sonomic butter. Bake 15 minutes and serve.